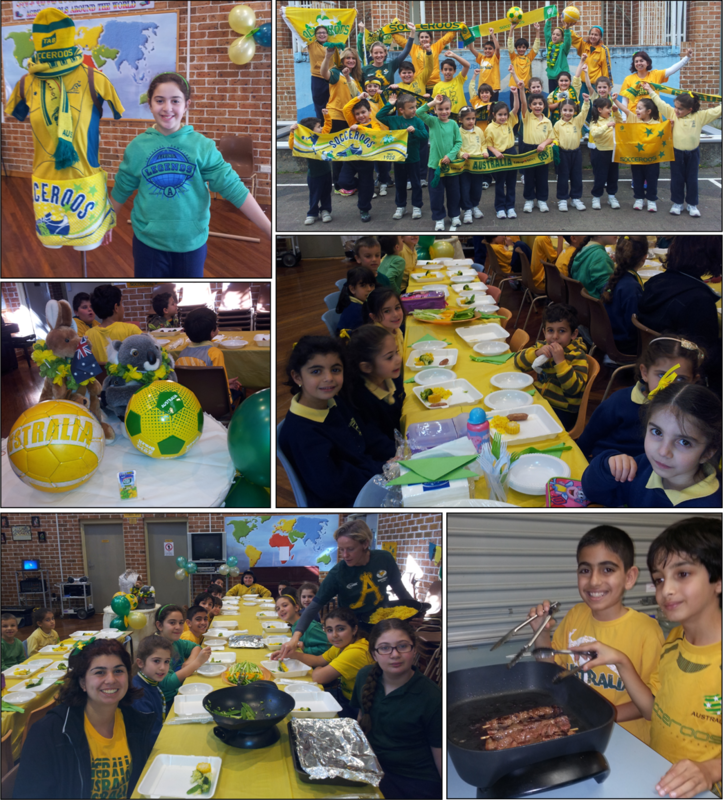 AGBU Alexander Primary School - Blog: ALEXANDER SCHOOL GREEN & GOLD DAY! 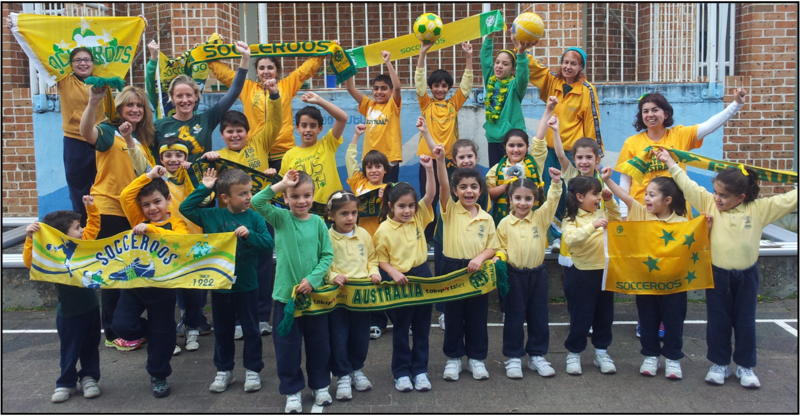 On Friday (20/06/14), our children turned out magnificently in Green and Gold to show support of the Socceroos and say thank you for their effort in the World Cup finals. They all looked cheerful and bright. There certainly had been a lot of care and consideration put into turning out in the National Colours. We also had banners and signs in support of the Socceroos. 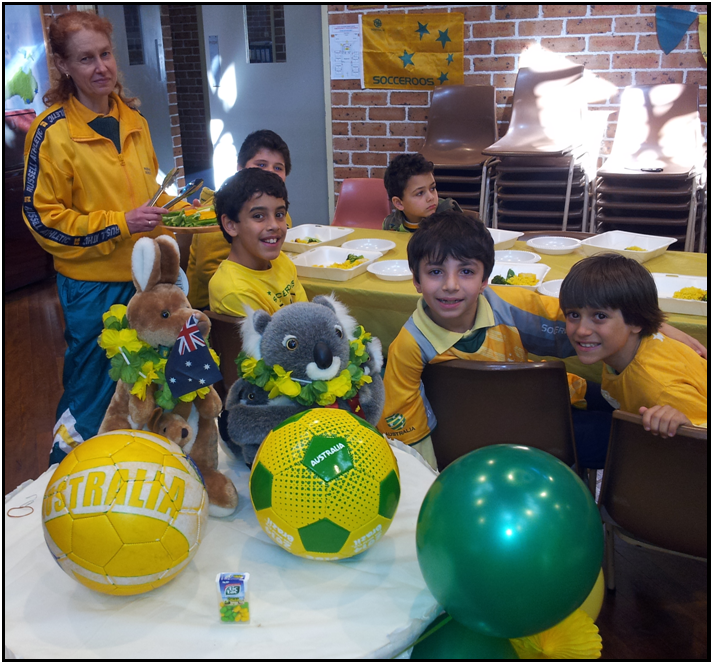 Finally, the Green & Gold lunch special prepared by Ms Smith and the Year 5/6 class was unique and very creative! Even the lunch ingredients had the mix of Green & Gold! From yellow coloured rice, corn cobs, capsicums and custard dessert... to green capsicum, celery, broccoli and peas! All topped off with a choice of sausages or kangaroo meat!